The picturesque valleys north of San Francisco have long fascinated and attracted writers. In fact, writer Jack London was so taken with the lush green hillsides, moss-covered charter oaks and serenity that he chose to live there. Born in 1876 in Oakland, California, London discovered the Sonoma Valley in 1905 and purchased a 130-acre ranch in Glen Ellen, a village located about 10 miles west of Sonoma. He named the spread, Beauty Ranch. Although only 29 years old at the time, London had already written "Call of the Wild" and "The Sea Wolf," and had become one of America’s most famous and successful writers. He soon began expanding and developing the ranch, which he envisioned as a model for a socialist, agrarian society. At the same time, he also began work on "The Snark," his prize sailing ship that was to take he and wife Charmain on a seven year cruise around the world. The trip only lasted 27 months (although they made it to the South Pacific and Australia) after London began having health problems. The Londons returned to the ranch, which Jack immediately began expanding (he ultimately owned 1,800 acres). He also began planning the "Wolf House," his massive grand home in the mountains. From 1910 to 1913, London spent more than $80,000 (in pre-World War I dollars) designing and constructing this rustic palace. Unfortunately, on the day the Londons were to move into their dream castle, the building mysteriously caught on fire (the source of the fire has never been determined) and was destroyed. The destruction of the house and the resulting financial setback were harsh blows to London. He continued to write and made small improvements to a small ranch house that he'd previously been living in on the ranch but planned to try to rebuild the Wolf House. In 1916, however, despite being only 40 years old, London died of gastrointestinal uremic poisoning—a result of his rough and ready lifestyle, manic work habits, diet and heavy alcohol consumption. The Wolf House was never rebuilt. Today, visitors can tour the impressive ruins of the Wolf House as well as his ranch house (he died while sleeping on the front porch there), a small museum and the grave sites of both London and his wife. The latter is housed in a beautiful stone structure, called "The House of Happy Walls," built from 1916-22 by his widow. It served as her home for more than 30 years and it was her wish to have it made into a museum after her death. Inside, visitors can find first editions of London's works, displays describing his adventures, historic photographs, personal artifacts and effects, furniture, manuscripts and can purchase books by and about London. The former London property is all part of the Jack London State Historic Park, which encompasses about 1,400 acres of the Beauty Ranch and includes orchards, barns, the small farm house in which London died, silos, a manmade lake constructed by London and other ruins. Interpretive trails lead through the park and up into the slopes of Sonoma Mountain and the surrounding countryside. 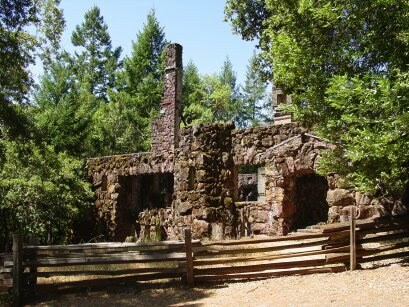 The Jack London State Historic Park is located at 2400 London Ranch Road, Glen Ellen, CA 95442. For more information call 707-938-5216 or go to www.parks.sonoma.net/JLPark.html. Markleeville, located 35 miles southwest of Carson City, is one of Eastern California’s most picturesque and historic small towns. 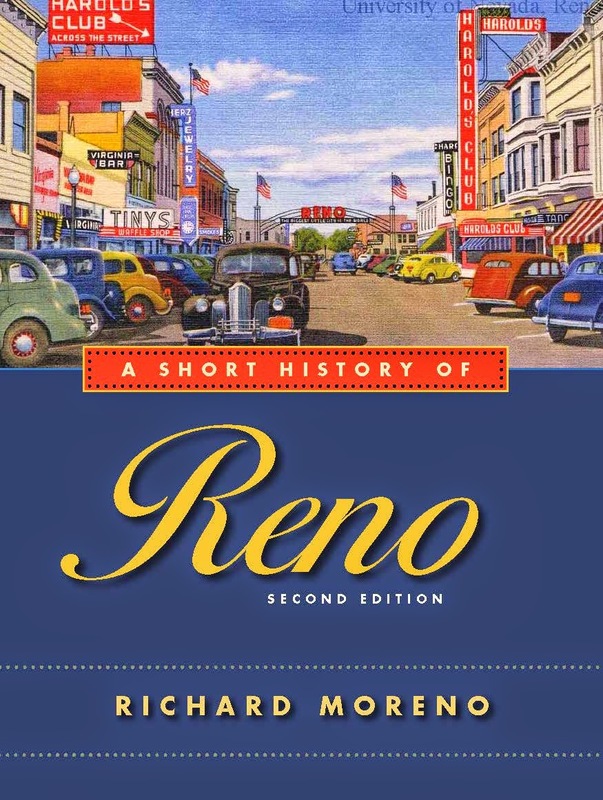 Its history is remarkably similar to that of many Nevada mining towns. In the mid-1860s, silver was discovered in the area and a number of small mining camps appeared almost overnight, including Silver Mountain City, Monitor and Markleeville. By 1864, more than 5,000 people lived in the region, which was carved into a new county called Alpine. That year also turned out to be the historic peak in terms of population for the county, which is still among the least populated in California with only a few thousand residents. As with most mining towns, the ore began to run out and by the mid-1870s, the population began a gradual decline. Silver Mountain City faded so quickly that Markleeville was named the county seat in 1875. As mining declined, the lumber industry became more important. During the 1870s and 1880s, Alpine County became one of the major sources of wood for booming Virginia City. Records indicate that during one year more than a quarter-million cords of wood were cut and sent to the Comstock. Today, Markleeville is a charming, quaint little town with a handful of historic buildings that show that things haven’t changed too much in the last century. For example, the Alpine Hotel in the center of town has a friendly tavern and still offers a couple of rooms upstairs. There are also a few local businesses—the kind you usually only find in small mountain towns—like a bait shop and a general store. Markleeville is also the location of the Alpine County Historical Complex, a museum that includes a collection of historic buildings that help tell the town’s story. The complex is open from Memorial Day through October. Visitors to the museum will find the restored Webster School, a classic one-room schoolhouse built in 1882. The Webster School was used until 1929, and then allowed to fall into disrepair. In the 1960s, it was stabilized and eventually restored to its original condition. Inside you can view an interesting photographic exhibit describing the restoration project. In addition to the schoolhouse, the museum includes displays describing the area’s rich history. Exhibits include a re-creation of an old country store and a blacksmith shop, Washo Indian baskets, antique toys and dolls, and a pair of 19th century handmade, wooden skis that are similar to those used by famous Genoa resident John “Showshoe” Thompson. The complex also includes the Old Log Jail, Alpine County’s original jail built from locally cut logs in 1875. The jail has two hand-riveted iron cells that were originally part of the Silver Mountain City jail before being relocated to Markleeville in the 1870s. 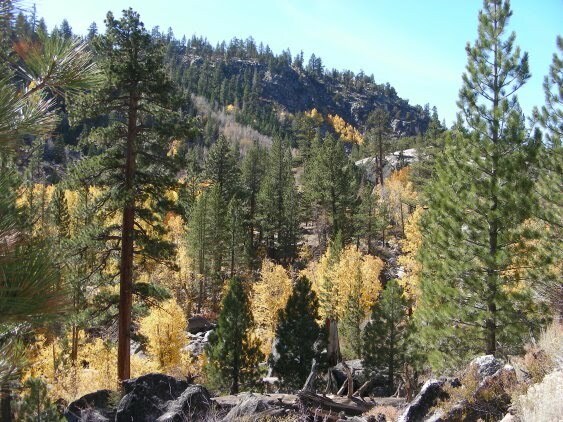 Located high in the Sierra Nevada, Markleeville is surrounded by alpine forests and beautiful mountain ranges. There are a number of campgrounds and hiking trails in the immediate area. Lists of both are also available at the Chamber of Commerce office. Markleeville is located 35 miles southwest of Carson City via U.S. Highway 395 and Highway 88 and 89. For more information contact the Alpine County Chamber of Commerce, Box 265, Markleeville, CA 96120, 530-694-2475 or go to http://www.alpinecounty.com. The rich, green valleys north of San Francisco have long fascinated and attracted writers. In the 19th century, author Robert Louis Stevenson was so taken with the lush green hillsides, moss-covered charter oaks and serenity that he chose to live there for a time. In May 1880, Stevenson and his new bride, Fanny, homesteaded in an abandoned bunkhouse adjacent to an old quicksilver mine on the slopes of Mount St. Helena. Part of the reason that Stevenson and his wife found themselves in California was because she was a divorced woman and Stevenson’s family did not approve of the marriage. Eventually, however, he gained his family’s approval of her and was able to return with her to his family in Scotland. Over the years, a kind of Stevenson cult has cropped up in the Napa Valley, which, appropriately, commemorates his stay in the region. The former site of the bunkhouse, which is located about a mile up from Highway 29, as it winds around Mount St. Helena (at a point about eight miles northwest of the town of Calistoga), is now part of the Robert Louis Stevenson State Park. The park is rustic, with no services. But visitors will find miles of hiking trails winding to the top of Mount St. Helena, which is the tallest peak in the area. In addition to the state park, the quaint town of St. Helena, located about 18 miles east of the park via Highway 29 is home of the Silverado Museum, a facility devoted to Stevenson’s life. There, you will find more than 8,000 letters, manuscripts, first editions, historic photographs and other Stevenson memorabilia. The Silverado Museum is located at 1490 Library Lane in St. Helena. For more information call 707-963-3757 or go to www.silveradomuseum.org.